Island Bound Publishing, 9780989778725, 192pp. Your boundaries are doing only one thing - trying to take care of you. See authors TEDx talk: https: //www.youtube.com/watch?v=rtsHUeKnkC8 - This book provides easy to follow examples and a step by step process to let your boundaries do their job. It is based on tried and true methods developed to help people working on boundary issues. The book provides a way to apply the information to your own life to deal with the emotions, stress, extreme challenges to your boundaries, and how to really do self-care. I have been a Marriage and Family therapist since 1986. I have spent twenty years leading three non-profit organizations, and seven years doing leadership development with the private and public sector. I've spent my life working with people. 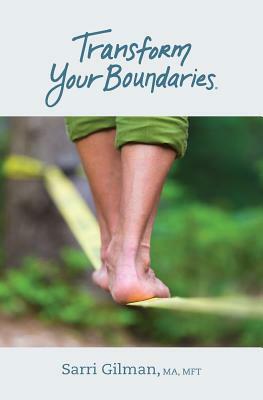 I believe many conversations, in therapy, in leadership, in coffee shops, are about how we struggle with boundaries. I wrote this book to help you through the conversation within.